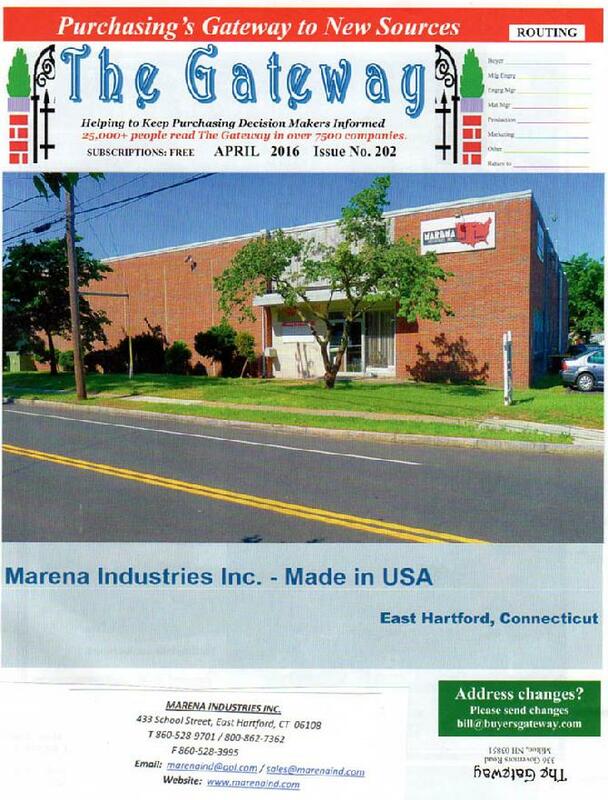 Welcome to Marena Industries Inc. located in East Hartford, CT. Our courteous staff and industrial specialists have over 45 years of experience in Grinding Services, Contract CNC Machining, New & Reconditioned Centerless Grinder Workrest Blades, New Lapping Carrier Plates, New & Re-sharpened Shear Knives, New Equipment Distributer for Waterjet USA, STEBOL, FAGIMA, CELORIA, PACIFIC FORTUNE, MAS srl, FUKUNO, KINGFISHER, VMS, HONERight and Used & Re-conditioned Machinery. 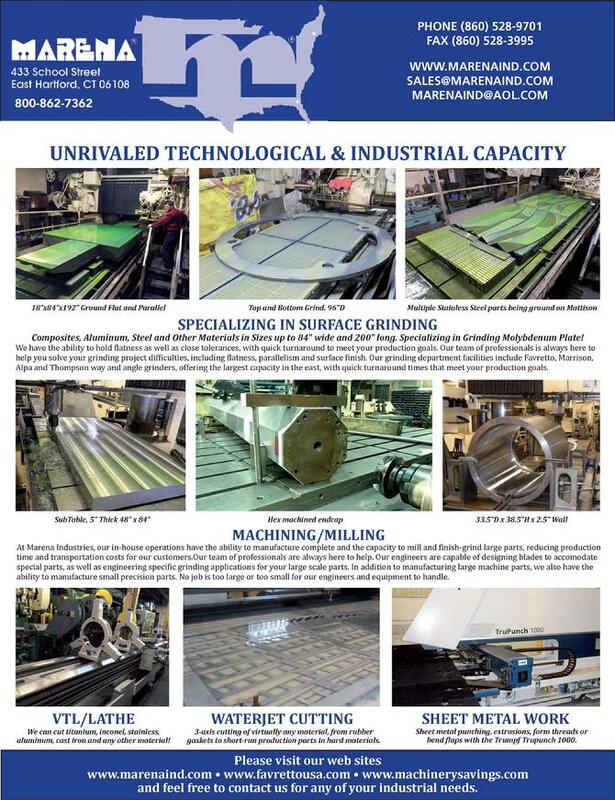 We have the largest Way & Angle Surface Grinder in this area with the grinding capability of a maximum piece size of 84" W x 72" H x 200" L. Marena Industries Inc. has achieve global recognition for our high quality of workmanship. 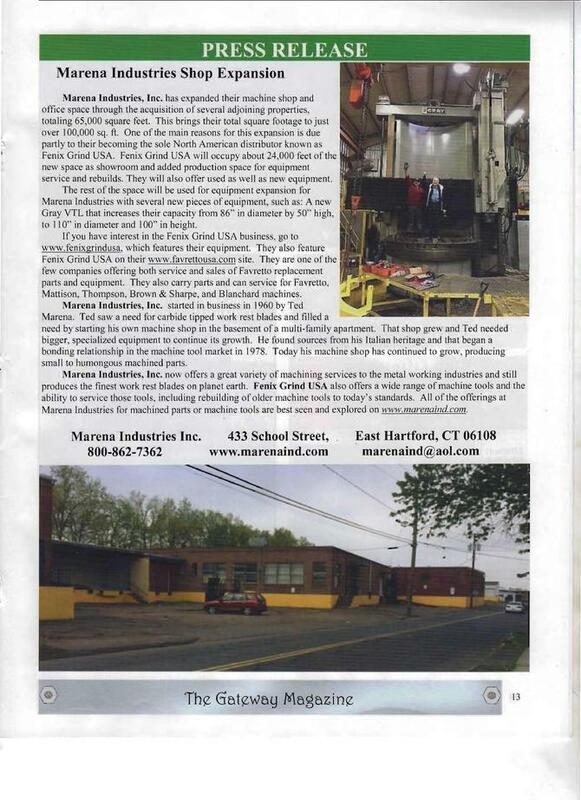 Marena Industries Inc. is also a distributor for Favretto/Meccandora machinery parts and our Sales Manager, John Salisbury is highly knowledgeable in parts and servicing for the equipment. 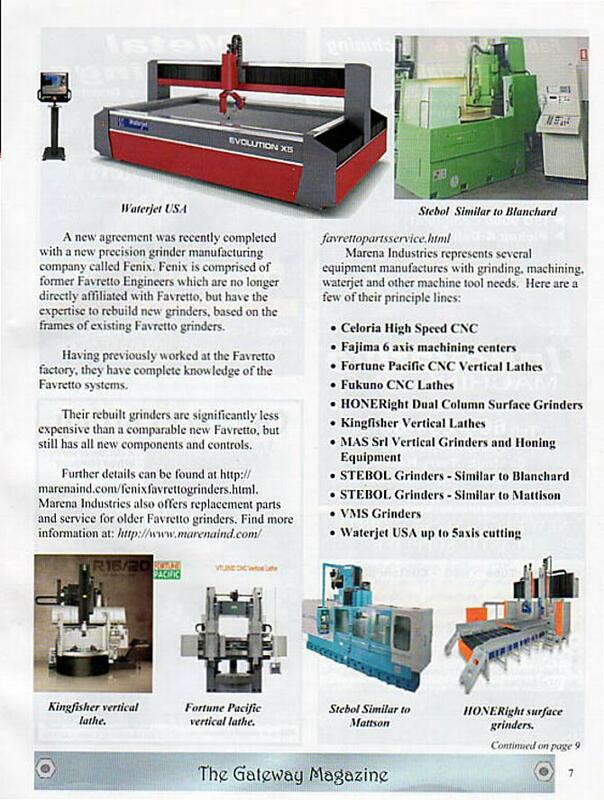 We provide on location servicing for Favretto machinery and machinery tools. 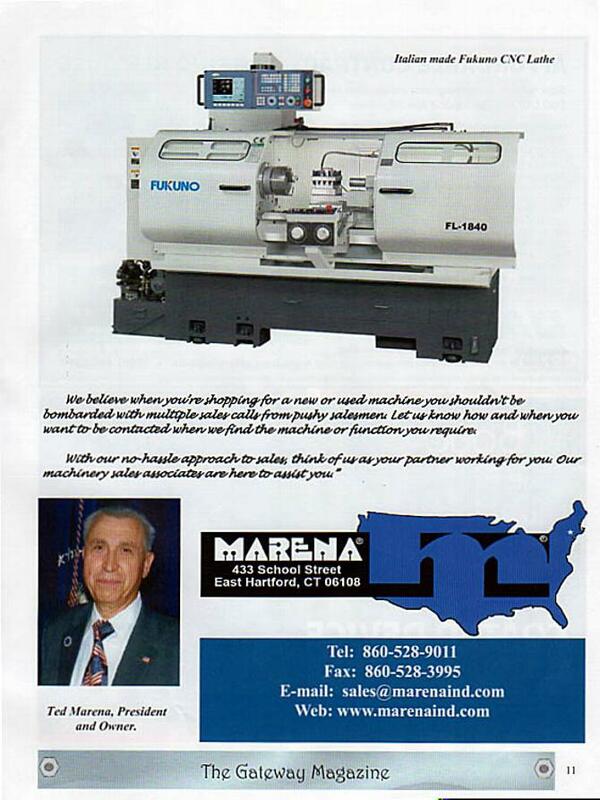 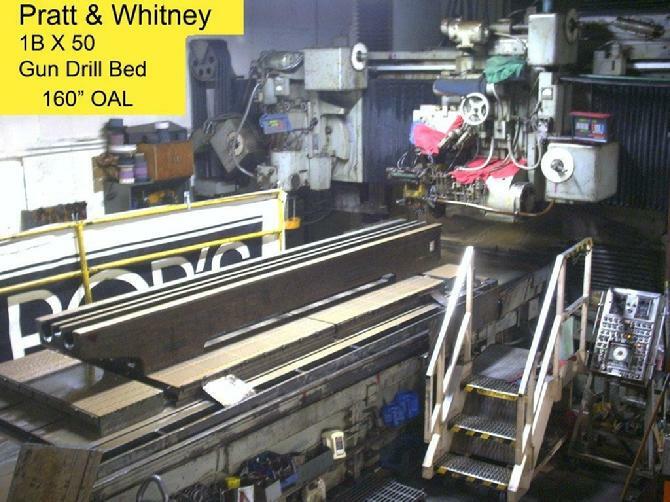 If you are interested in purchasing any type of grinding machinery, whether new or used, please contact Ted Marena. 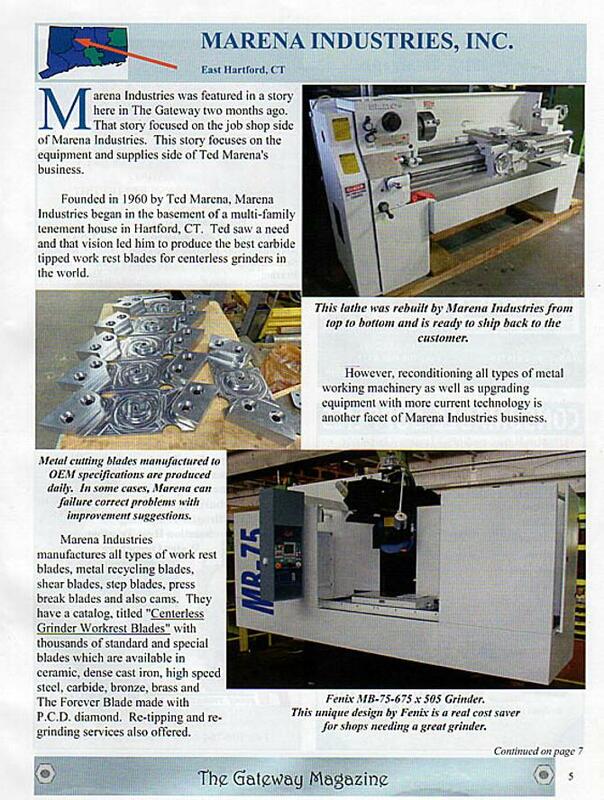 Thank you for your interest in our company and please continue to visit our website. 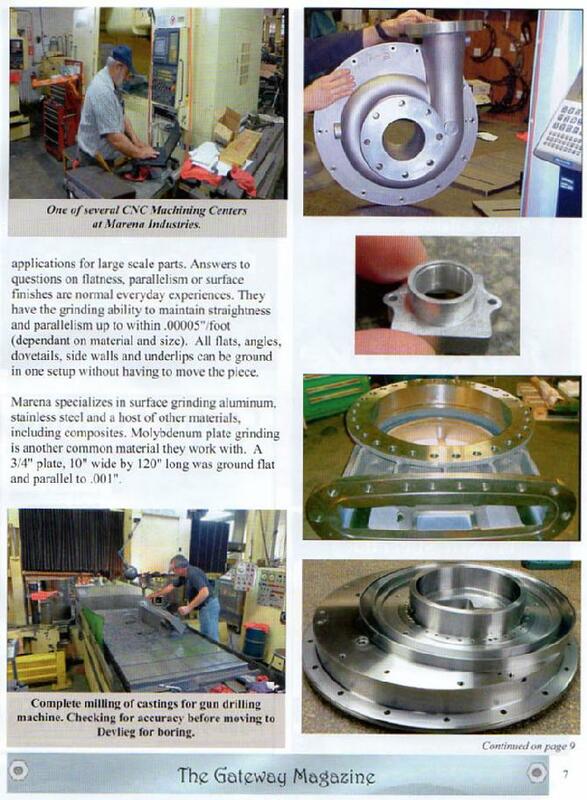 We look forward to servicing your metalworking requirements. 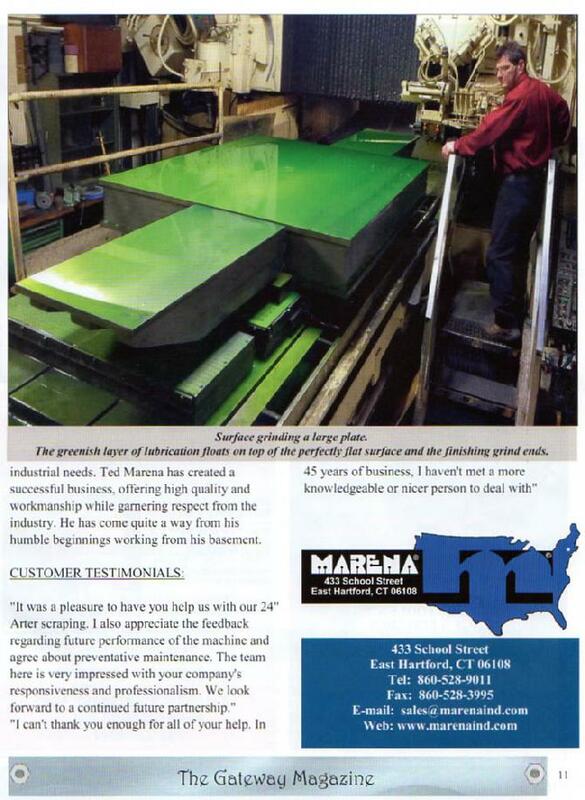 Marena Industries Inc. is proudly owned and operated by Ted Marena and we will uphold the highest standards to secure our industrial business in the United States. 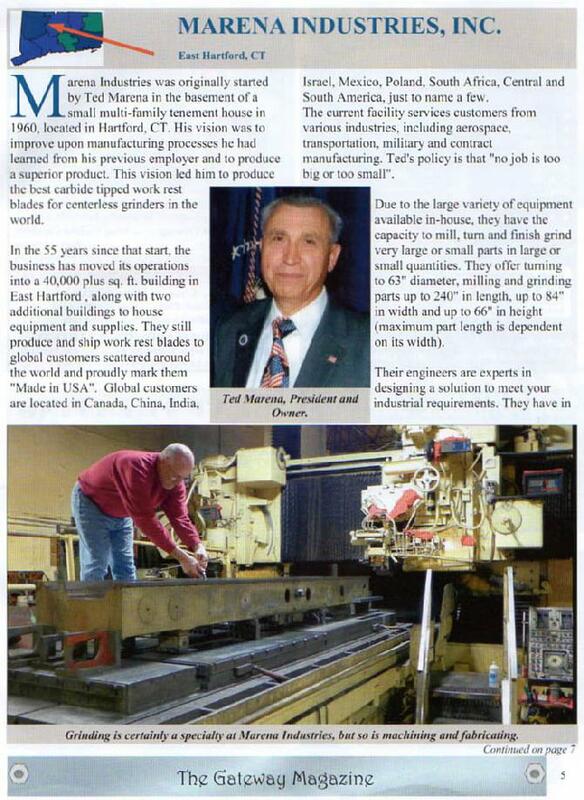 It is our privilege to say "Made in America"
Ted Marena - Founder and President Marena Industries Inc. 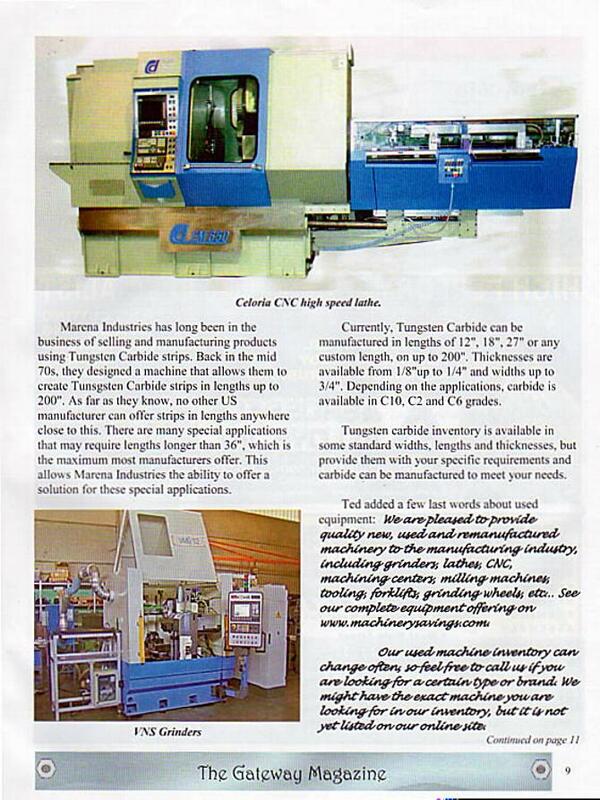 WANTED: Original or Copy of SUNDSTRAND/MORANDO VTL Model V12 parts manual. 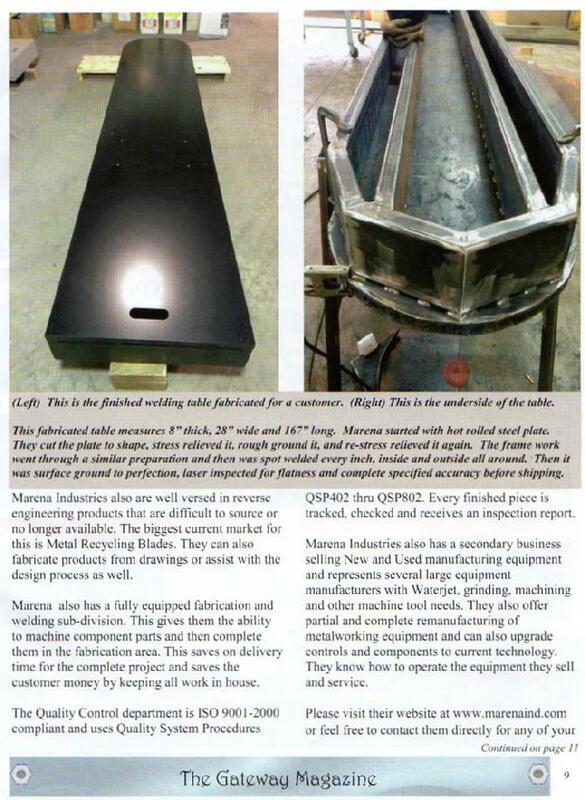 If you have or know someone with this manual and are interested in selling, please contact us. 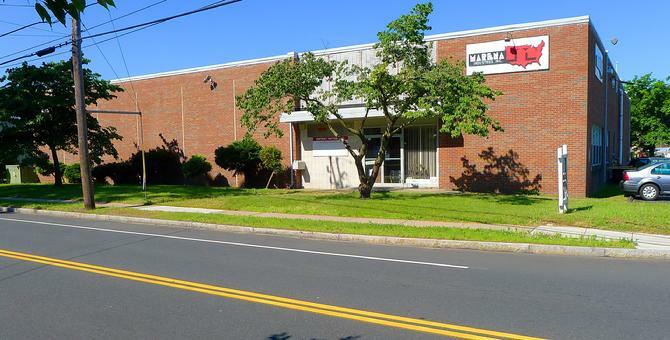 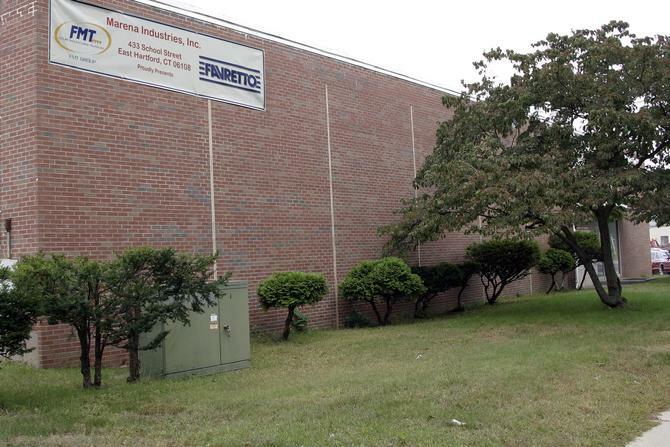 433 School Street East Hartford, CT. 06108 U.S.A.
We pay close attention to your specifications assuring your satisfaction and the quality of your product. 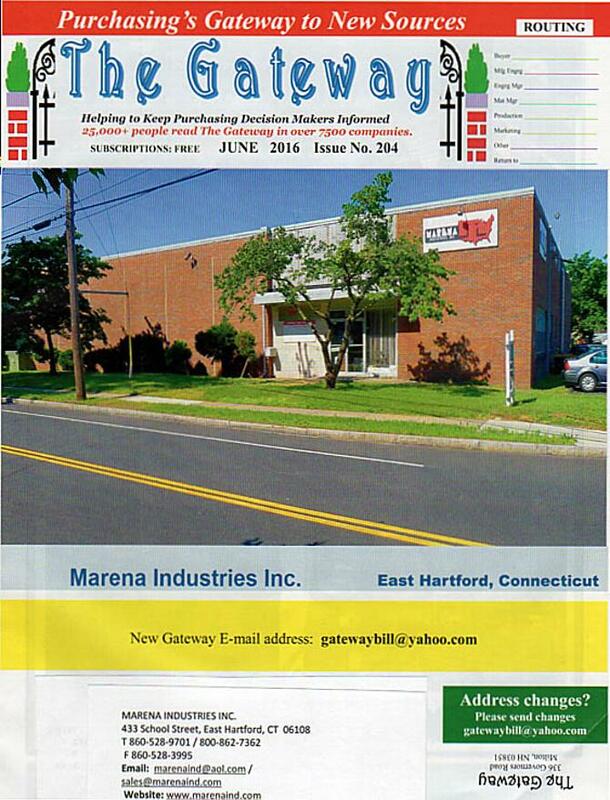 Please enter your contact information so we may contact you for specific job questions.